Sophocles referred to the phenomenon in Antigone, Shakespeare in Henry IV and Anthony and Cleopatra – the age-old tendency to inflict retribution on the bearer of bad tidings. And, boy, is the messenger copping it right now over the opinion poll that shows two thirds of Fijians solidly behind the supposedly hated dictator, Frank Bainimarama. When it commissioned the poll, the independent Australian think-tank – the Lowy Institute – could scarcely have imagined the results. But having received them, it stuck to its plan to unveil them as regional leaders gathered at the recent Pacific Forum in Auckland. This is very much to its credit, given the Institute’s consistent condemnation of Bainimarama’s 2006 coup. As the head of its Melanesian program, Jenny Hayward-Jones, explained, the aim was to give the Fijian people a voice where none existed at the ballot box or in the censored local media. The problem is that when they spoke, it wasn’t what the regime’s legion of critics wanted to hear. And so we have the delicious irony of so-called democracy campaigners crying foul and peppering the Lowy Institute with more craters than on Manuel Noriega’s face. “The timing is bad” – cried human rights campaigner Shamima Ali – presumably on the basis that any poll that doesn’t show abject loathing for Bainimarama isn’t helpful to her cause. Then up popped disaffected academic Professor Wardan Narsey with the remarkable proposition that those questioned were too uneducated to understand what they were being asked. Well, do you approve or don’t you? It hardly requires the grey matter that put men on the moon. Then there were arguments about methodology, despite the supervision of Newspoll founder Sol Lebovic, arguably Australia’s most respected pollster. And finally, the most ludicrous proposition of all – that those being polled were gripped with terror by the knock on the door and meekly gave the dictator a tick for fear of a cuffing up at the camp. This came from Australia’s Pacific Islands Minister – the very junior Richard Marles – whose job it is to adhere to the hard line on Fiji set by his boss, the Napoleonic Kevin Rudd, for whom foreign policy nowadays takes a back seat to seizing back his old job from the walking disaster that is Julia Gillard. Coming from such a luminary, it didn’t take long for the “fear factor” to become the dominant narrative, repeated again and again, most recently by Canberra academic and anti-regime campaigner, Jon Fraenkel, writing in The Australian. Here’s the link to a well argued riposte to Fraenkel’s “do nothing but maintain the hard line” argument from Anthony Bergin, Richard Herr and Mark Johnson on behalf of the Australian Strategic Policy Institute. They – like Grubsheet – support Australian re-engagement with Fiji to help it back to democracy in 2014 and want Canberra to pursue re-engagement at the forthcoming Commonwealth Heads of Government meeting in Perth. Fiji-born Johnson – one of the founders of Macquarie Bank – helped finance the Lowy poll. Fraenkel came back with this disingenuous letter to The Australian that’s totally at odds with his previously stated positions, which are to oppose re-engagement and call for stronger sanctions against Fiji. He also – quite outrageously in our opinion- questioned Mark Johnson’s motives in putting up the money for the Lowy poll. As Jenny Hayward-Jones has wearily pointed out, only one per cent of those canvassed refused to answer the questions. Ergo, 99 per cent of respondents were willing to express an opinion. How – by any twist of logic – does that indicate a climate of fear? Hayward-Jones has also pointed to further evidence of the bleeding obvious -that if Fiji was, for argument’s sake, North Korea, you’d expect an even bigger endorsement from its cowered subjects for their glorious “dear leader” Frank. As it was, a third of those polled didn’t think he was doing a good job. In other words, not-so-good or bad. This was a poll of more than a thousand people. That means well over three hundred of them were prepared to risk being piled into the back of military utes for re-education up at the camp. Anyone with experience of ordinary people in Fiji knows they’re not short of an opinion. So let’s face it, guys, the “fear factor” argument doesn’t stack up. This is the bankrupt nature of Australian policy towards Fiji, the refusal to listen to anything but the chorus of protest from the regime’s opponents. “Of course, the people of Fiji hate the dictatorship. How could it be otherwise?” Well, how about examining the evidence. The shame of it is that while someone like Jenny Hayward- Jones is willing to do so – whatever her distaste for the dictator – the likes of Richard Marles and Jon Fraenkel are not. These are the putative standard bearers for democracy. Yet as Hayward-Jones so aptly puts it, they’re refusing to listen to the voice of ordinary Fijian people. These people have spoken, but no-one is prepared to listen. It’s hardly a great advertisement for democracy if you’re sitting in a squatter settlement in Suva. Incidentally, Grubsheet and Jon Fraenkel are at it again, this time over our request that Fraenkel explain the circumstances of his involvement with the so-called Fiji Democracy and Freedom Movement and his association with 2000 coup maker Simione Kaitani. The email exchange is at the bottom of this posting. Fraenkel is refusing to play, accusing us of being “ridiculous” for attacking those who support democracy in Fiji. No, Jon, we’re for democracy too but not your brand of democracy, which is the restoration of the old order. We’re asking why someone like you – who is on the public payroll in Australia and poses as an independent commentator – also poses with coup makers and is an active player in Fijian domestic politics. We’ll leave it to our readers to decide who looks more ridiculous under the circumstances. We’re also providing a link here to a speech we gave in Nadi the other day at Fiji’s inaugural literary festival, at which we had some sharp things to say about the foreign media’s coverage of events there. We added our voice to calls for the lifting of censorship and did it in front of the government’s chief spokesperson and censor, Sharon Smith-Johns. She was unfazed but said the regime still wasn’t prepared to trust the local media after the Fiji Times had recently tried to publish a story and cartoon raising questions about the safety of the national airline, Air Pacific. Had it been published – Smith-Johns said – it had the potential to destroy public confidence in Air Pacific and with it, the entire Fiji economy. No-one in the room – Grubsheet included – had any retort. Much as censorship is indefensible, there’s still clearly a problem with editorial leadership in Fiji. The source for the safety allegations was the union currently in dispute with Air Pacific. So to paraphrase the luscious Mandy Rice-Davies, “well, they would say that, wouldn’t they?” Here’s a link to the Smith-Johns speech. Her Air Pacific comments came in the question and answer session afterwards. The Fiji Times doesn’t help its cause with headlines like this, baldly stating that deposed prime minister Laisenia Qarase has been acquitted even before his current trial on charges of abuse of office gets properly underway. Is it incompetence or part of a concerted campaign on Qarase’s behalf? Either way, it’s not going to put the regime in any frame of mind to lift censorship. And that’s bad for everyone in the Fiji media. POSTSCRIPT: This article has subsequently appeared in the Fiji Sun. You have not answered my questions, Jon, and, furthermore, launched a personal attack on me. On any fair appraisal, this constitutes a refusal to explain the extent of your political involvement – as author of Tevita Mara’s ten point plan – and your very public association with a participant in the 2000 Fiji coup. You are an academic on the public payroll casting yourself as an independent commentator. The question of whether you are an active participant in Fiji domestic politics is clearly a matter for legitimate scrutiny in the public interest. 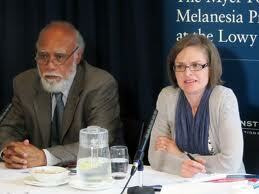 > attacks on those urging a restoration of democracy in Fiji’, Its not a refusal. Jon. . This wasn’t an attack. I am a journalist who has given you an opportunity to put your side of the story. I take this as a refusal to do so. > attacks on those urging a restoration of democracy in Fiji. > point plan for the immediate return to democracy in Fiji. > 3/ What is your relationship with the FDM? Are you a member? > Kaitani at one of Roko Ului’s rallies. > 6/ What is the nature of your relationship with Kaitani? > I’d appreciate a reply as soon as possible. Excellent questions you have posed to Jon. Hope he responds to dispel any doubts about the depth of his invovment with SDL acolytes in the ‘Fiji Freedom & Democracy Movement’ . His reputation as dispassionate commentator of the situation in Fiji has already been irreparably damaged. Media censorship or responsibility is a politically incorrect and dangerous topic. No ‘self-respecting’ or self-serving careerist (e.g., Fraenkal and Brij Lal) will allow a balanced argument to avoid the risks of retaliation by the media or being shunned by the establishment. People like Brij and Fraenkal want to be the darlings of the Aut-NZ govts/media, and need the media to make their names and further their careers. They have their noses in the Australian government trough. There are bound to be other conflict of interest situations – in the case of Fraenkal, unanswered questions about his ties to ousted PM, Qarase. Talking about censorship and media responsibility can destroy reputations and careers and put an end to junkets,consultancies, appointments and other benefits. Anyone who talks about censorship is demonised. No rational debate can take place. Nothing can be done to improve the situation. We reap what we sow – News of the World phone hacking scandal has shown what happens when we talk only about media rights, nothing about media responsibility, and allow media to become all powerful. Fiji’s media, for the most part, is unschooled, unethical, unaccountable, naive and downright dangerous. Editors know little better than their reporters, so it is a case of the blind leading the blind. But worse than that, and far more sinister and dangerous, is the fact that reporters are pawns in the hands of unscrupulous expatriate editors with political-agendas and vendettas. 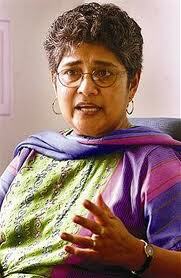 The biggest culprit was the Fiji Times during the Chaudhry government rule. Everyone in the Fiji media industry knows, but is in denial, feigning ignorance or was complicit in media-mounted anti-Chaudhry govt campaign. The Fiji Media Council, aptly described as the “Fiji publishers poodle” was ineffective. In fact, Fiji Media Council even defended the Fiji Times. That’s how rotten things were in Fiji, with the Fiji Media Council in denial or in cahoots with the Times. 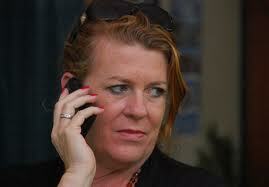 Britain had its phone hacking scandal; Fiji had its 2000 coup, thanks to the two Murdoch publications. Censorship is not good but we reap what we sow. Had media been more professional, and Fiji Media Council doing what it was supposed to, things might not have turned out this way. 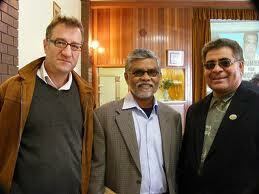 I am pleased that you have come to Fiji, I hope you had a good time at the literary festival. It was a shame that you did not dig a little deeper whilst you were here and done some of your own research. On your quick visit I am sure you saw it was business as usual in Fiji. Life is going on as per normal. And you would be right, life is normal so long as you do what you are told. If you voice your opinions loudly enough you get picked up on the radar of the regime? If you do it consistently you will have a trip to the camp. Or you stop getting contracts, Or you will be investigated by FICAC Or FIRCA will do a tax audit. That is the reality here in Fiji. And guess what people don’t voice their opinions plainly unless they completely trust the person they are speaking with. No they were not gripped with fear but they give the answer they think the questioner wants. And so they say good things about the regime. So just because they say Bainimarama is doing a good job does not mean they believe it. Over 50% polled said they thought the government was doing a good job on drawing up a new constitution. As Bainimarama has endlessly said they will start looking at the constitution in 2012, at the time of the poll the regime has done nothing about a new constitution but still they got a positive approval rating. Let me illustrate this point with another example. In 2006 before the election every village was paid a visit by an army team to advise them not to vote for the SDL. The army left nearly every village being assured that the villagers would not vote SDL. Every village did vote SDL. Graham, you as someone who grew up here must remember how people always want to give the answer that is expected of them. The other point you fail to mention is that everyone in Fiji, except those with the internet are fed 100% pro regime propaganda. At no point since the abrogation of the constitution have we been able to read any criticism of the regime in a newspaper. We have not been able to see any criticism of Frank on the TV News and we certainly only ever hear what a wonderful job Khaiyum is doing on the radio. 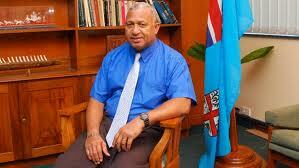 The people of Fiji are only given one point of view and that is that the Government is doing a great job. We do not hear about the payment scandals, we do not hear about the wastage in Government. We do not hear about the military pay rises whilst everyone else gets poorer. Just to really make sure there is no criticism we will not publish any auditor general’s reports. This diet of propaganda must also have an effect on people’s thoughts. If Julia Gillard had 100% positive support throughout the media in Australia you would probably find her approval rating was as high as Frank’s. But in Australia the press is free to crticise as we can see in your entry no.45. If you tried to say any of that about Frank you would have visit from the boys in green before you could say Frank Bainimarama is a dictator. So please enough of your hypocrisy about all is well in Fiji. It is not and until we have a free press we will not get the full story the people of Fiji will not hear about it. We will not be given the information we need to give informed answers to questions about is Frank doing a good job. Someone like you, who claims to be a responsible journalist, coming here and giving legitimacy to a tyrant, whilst at the same time enjoying the media freedom of Australia that allows you to take pot shots at an elected leader, makes me sick. It is OK to shoot the messenger when the message they deliver has got confused and garbled. I also think it is OK to shoot the journalist when their hypocrisy reaches your level. “Down with hypocrisy”, I was OK with your line of argument until the last line – the bit about “shooting the journalist”. My headline “shooting the messenger” is a turn of phrase. Yours carries the implication of a threat – the sort of thing we consistently hear from the goons of the SDL and other thugs in Fiji who sugar coat their arguments with a veneer of reason but can’t hide their real agenda. I have NOT said that all is well in Fiji. In fact I specifically call here for the lifting of censorship. But your letter is a highly coloured and exaggerated version of the situation to suit your own political purposes. To describe me as a hypocrite is absurd. How do I not do as I say and say as I do? Produce the evidence and I’ll respond. Otherwise, you are entitled to put your case but it needs to be seen for what it is – blatant propaganda with an unpleasant twist. You are living in the past. People are entitled to change their views with the passage of time and with the introduction of new information. Why should we still rely on decisions made by people five years ago…decisions that were heavily influenced by the pork barreling tactics of the Qarase regime? Ya, shall we talk about the Agriculture scam when every man and his dog were entitled to a fibre glass boat with a 40 horsepowered Evinrude outboard to boot, if they voted for SDL? People have now realised how they were conned by SDL politicians. You cant hold them to account for decisions they made 5-10 years ago on the basis of a con or misleading information wilfully provided by a conniving and immoral bunch of self serving polticians, aye? Down with Hypocrisy…..Sounds like a disgruntled journalist from the Fiji Times. And nice choice of words “hypocrisy”, which the Fiji Times practiced during Qarase’s rein of deception. If I was polled, yes I am happy with the Government’s performance to date and let me capitilise “TO DATE”, I would like my freedom to say what’s in my mind and my human rights MUST be protected at all cost. The Fiji Government endorses the Lowy Fiji poll, then it would be wise for it to give the later two of my (and the majority of people polled) concerns back to the people. Who knows, the government may have to higher approval rating. Anyway, thanks graham for your insight and to nutty professor Jon Fraenkel, let it go mate and join us support this current government get back to democracy. The train has left the station. Interesting that I have had 3 comments on my post and not one has challenged my argument. Graham you accuse me of making a threat when clearly all I am doing is referring to the expression Shooting the Messenger which is metaphorical and using it about journalists in just such a metaphorical way. I thought journalists had thicker skins. You also accuse me of exaggerating. Please let me know what you think is an exaggeration I will demonstrate it is not. Where you are hypocritical is you support for a dictatorship that restricts media freedom. Your support gives it a legitimacy that it does not deserve. Sure you call for the end of censorship. You have been calling for it for some time. The regime does not end censorship; indeed they have broken promises about ending censorship. But your support continues regardless. You then give your support to a poll that is totally skewed because of media censorship because the people of Fiji have not heard both sides of an argument. They have been force fed propaganda. That is Hypocritical and a “respected” journalist should know better. Avatar, I am not talking about the past I am talking about now. Let’s talk about the current agriculture scam equivalent that we saw at the Lau Provincial meeting. If you do not elect the chairman the government wants you will not get any development money. That is not even a con that is straight forward blackmail. We also cannot hold this government to account for any decisions. In fact we cannot even question any of their decisions. Things were bad under the SDL, I agree, but it is far worse now. Bula Mada, How kind of you to think I write well enough to make a living from it. Sadly it is not true. I agree Fiji Times and other papers were hypocritical but that does not mean that Graham is not. As you say the Government needs to give back those freedoms. Since the abrogation of the constitution they have been consistently moving in the opposite direction. It all might change suddenly next year and we might be allowed open discussion on the new constitution, but I can see no evidence that will happen. In my view all the evidence points to it not happening. We will have to wait and see who is right. I sincerely hope I am wrong because if I am right then this country is doomed to live under the rule of a dictator for many years to come.